This is the part#6 of a series of documents regarding Title Insurance. The real answer is none of the clients. Almost all the time sellers and buyers don’t know and don’t care about who the title company should be. As we stated before, at least in state of Texas, all pricings for Title companies are regulated and fixed by state. It means that, the cost of titles from two different title companies for the same house would exactly be the same. 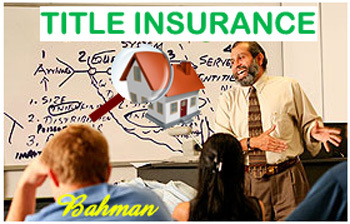 The selection of the title company, in a real estate transaction, is negotiable between sellers and buyers. Per statement above, except few cases such as foreclosed REO or HUD, the seller and buyer don’t care about which title company take care of the transaction, as long as they do their job right. But, this becomes issues between seller’s agent and buyer’s agent mainly because of their relationships and previous experiences with their preferred title companies. Unfortunately, in some cases, the selection of title companies becomes so hot between agents that could break the deal. NOT GOOD. Who Pays for Title Insurance Policies? Though it is not the law, but typically seller pays for homeowner title insurance policies and buyers pay Lender title insurance policies. In some case, based on the negotiation in the contract, buyer may have to pay for the title insurance policies, this is not the norm.